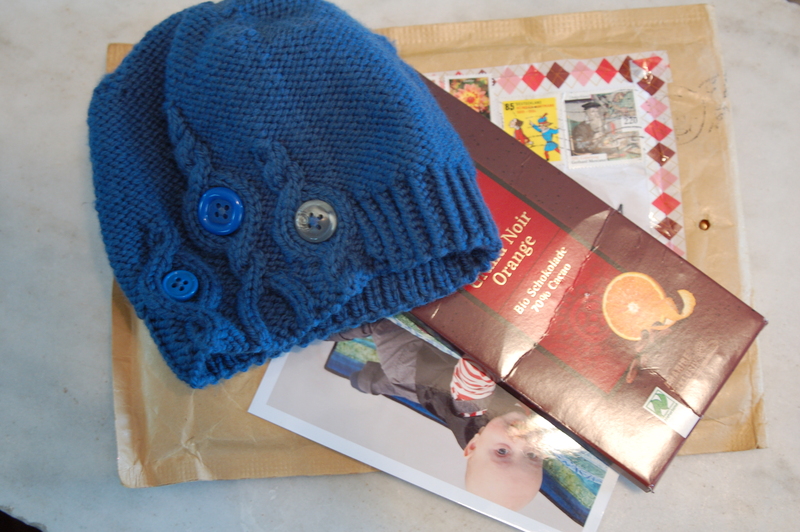 I talked previously about the hat swap I participated in with my due date group on Ravelry. I love it, it’s perfect. 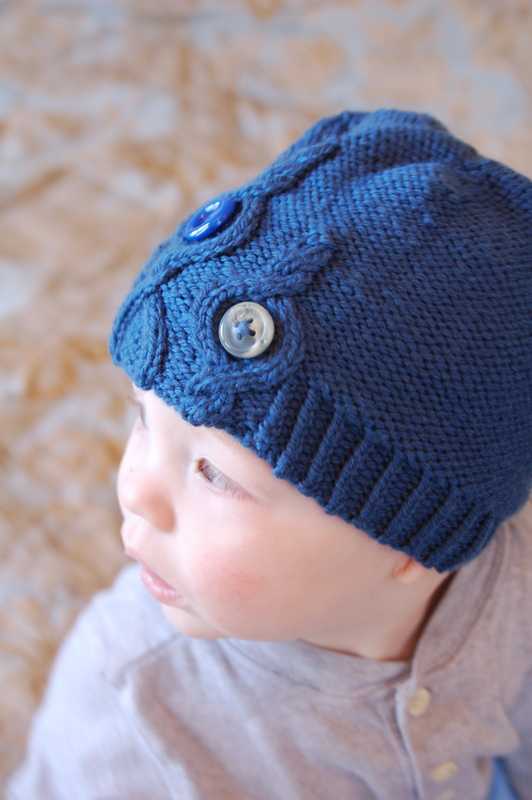 It’s soooo soft, the color is perfect, the buttons add the very best touch of whimsy. She (karulin on Rav) used the Woolly Wormhead Bubbles pattern. Wanna see it modeled? Well, OK. If you insist. Oh, and the chocolate? Perfectly dark, with the greatest taste of orange. (And I don’t even usually like fruit in my chocolate.) I loved doing this swap. This entry was posted in knitting, WordLily and tagged fiber arts, Sprout. Bookmark the permalink. Perfect fit and sweet face, what more could you want. 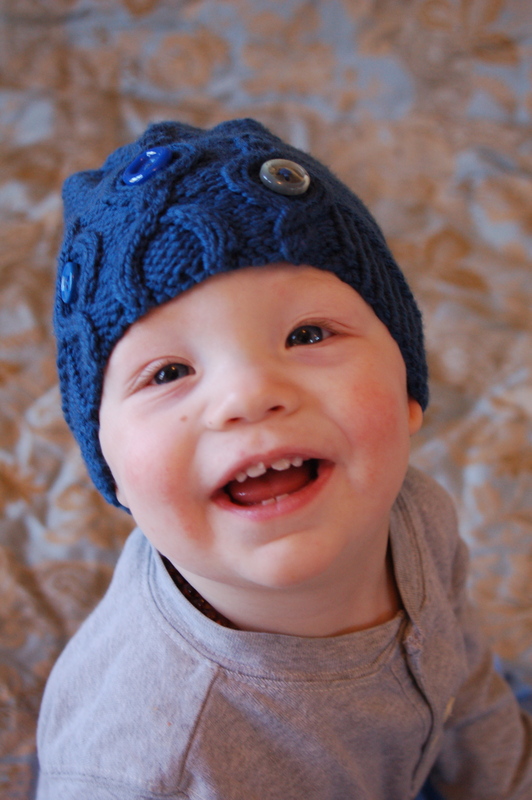 I love the hat and the adorable model! The hat does perfectly with his eyes! Oh what an adorable hat! 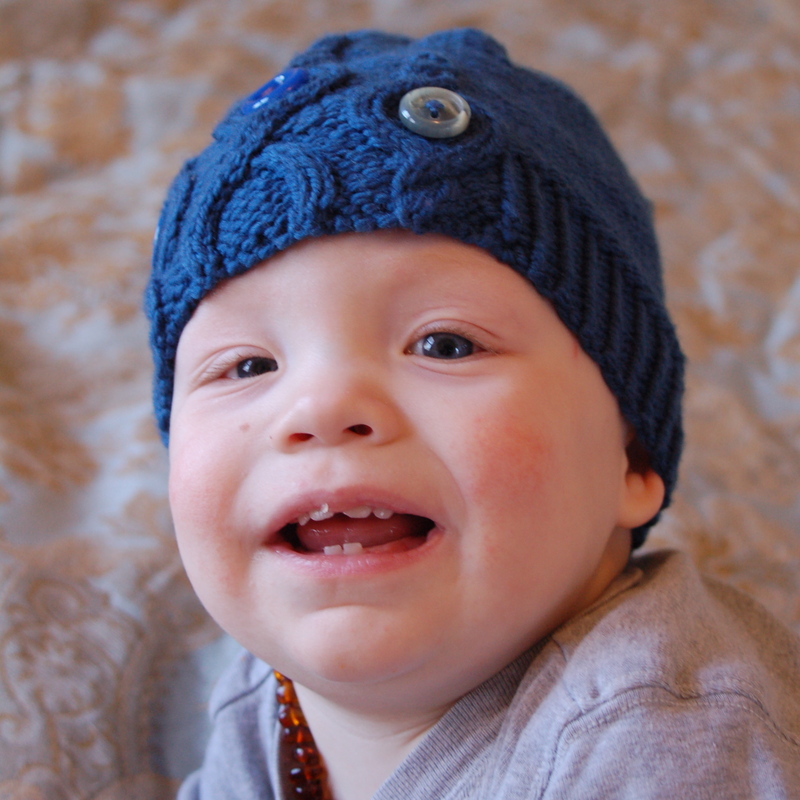 What a fun swap and he is so adorable in the hat! So sweet! what a great swap! I love those buttons and that most adorable face. That color is perfect with his eyes! Adorable – looks like it fits perfectly. What an adorable hat. Love the buttons and cable combination.